Bye, summer movies. Thanks for The Big Sick and Dunkirk. I laughed a lot during Girls Trip and Spiderman: Homecoming and Ingrid Goes West. Nice job on Wonder Woman. Otherwise? I’m not surprised that box office receipts were down 12 percent compared to 2016. Baywatch, Logan Lucky, King Arthur, Transformers 5, Dark Tower, Pirates of the Caribbean 5, Detroit, The Glass Castle and Rough Night all faded faster than my tan from that weekend in upstate New York. That’s why I speak for all movie buffs when I say BRING ON OSCAR SEASON. I’m salivating over the thought of prestige dramas and controversial endings and Cate Blanchett in a costume. Here are my fall movie Sweet 16 picks. See them and weep. That’s a good thing! The Story Send in the scary clown! In 1989, a group of adolescent pals in a small Maine town are terrorized by a shape-shifting demon (Bill Skarsgard). Their de facto leader, Bill (Jaeden Lieberher), believes “IT” also kidnapped his little brother. The Buzz Um, did you see the trailer? 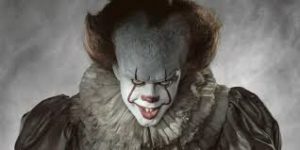 The adaptation of Stephen King’s 1986 best-seller looks ridiculously frightening. The similar Stranger Things comparisons are inevitable but the combination of a fresh-faced cast, quirky humor and a terrifying villain could make this a sleeper. Provided it doesn’t give you nightmares. The Story A married couple (Jennifer Lawrence and Javier Bardem) have their relationship tested when another twosome (Michelle Pfeiffer and Ed Harris) unexpectedly show up at their doorstep. The Buzz Lots of secrecy surrounding the latest from Black Swan director Darren Aronofsky. “The themes are just huge,” Lawrence told Vogue. “They’re. . . I can’t use the word I want to use, but the movie is unique.” That sure clears things up! Ps. Press folks received big bloody hearts as promotional gifts from Paramount. The Story Tennis pros Bobby Riggs (Steve Carell) and Billy Jean King (Emma Stone) take to the hard courts in 1973 to prove which gender reigns supreme. Spoiler: King is the queen. 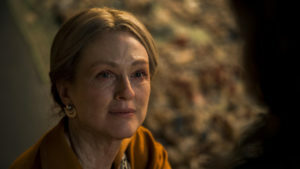 The Buzz This is the first time reigning Best Actress Oscar winner Stone has played a real-life figure. She chose wisely. An estimated 90 million watched the match on ABC and directors Jonathan Dayton and Valerie Faris (Little Miss Sunshine) took all the vintage footage to make their film as authentic as possible. Love it. The Story Jeff Bauman (Jake Gyllenhaal) loses both legs after two bombs explode at the finish line of the 2013 Boston Marathon. With support from his girlfriend (Tatiana Maslany), he tries to piece his life back together. The Buzz Bauman is the first to admit he’s no hero. Yet there is something inspirational about his emotional and physical quest to rehabilitate himself. Gyllenhaal is terrific in the role. But that fact that Bauman and his wife recently split up IRL may taint the onscreen happy ending. 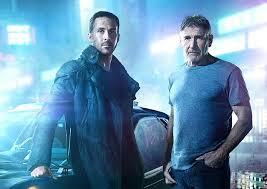 The Story Picking up 30 years after we left off, an LAPD officer (Ryan Gosling) searches for missing Blade Runner Rick Deckard (Harrison Ford). The Buzz Noooo! Sequels are wrong because they never live up to the originals! Wait, what’s that? Stylish director Denis Villeneuve (Arrival) takes over for Ridley Scott? Gosling is appearing in his first big-budget action film? He told EW that it’s “thematically rich, romantic and special”? Never mind. I’m in. 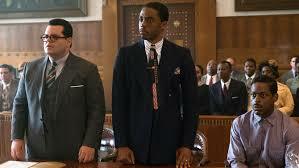 The Story Chadwick Boseman (42, Get On Up) plays Supreme Court Justice Thurgood Marshall in an origin story. The then-NAACP lawyer must rely on a white attorney (Josh Gad) after the judge forbids him to speak. The Buzz Thanks to Black Panther, Boseman is seriously on the verge. It will be good for him to flex his acting muscles in a dramatic biopic once more before the Comic-Con crowd gets to him. Marshall is already screening like crazy for film critics — a promising sign. The Story Author A.A. Milne (Domnhall Gleeson, Star Wars: The Force Awakens) returns from World War I a changed man. 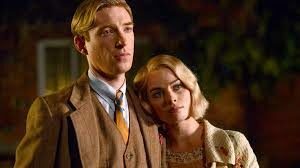 He copes by reconnecting with his wife (Margot Robbie) and son, Christopher Robin (Will Tilston). And he writes Winnie the Pooh. The Buzz Delving into the complicated story behind the beloved story has become a mini-genre in the past decade, ranging from Finding Neverland (Peter Pan!) to Saving Mr. Banks (Mary Poppins!) Milne’s biography is somewhat obscure, though it can be tedious to see how the edges of a book get frayed. Can the Winnie the Pooh tale emotionally resonate without an overdose of sap? The Story A 12-year-old deaf girl (Millicent Simmonds) in 1927 runs away from home and goes to New York City in search of a movie star (Julianne Moore). Fifty years later, an 11-year-old boy (Oakes Fegley) embarks on an adventure in NYC’s Museum of Natural History. What is the connection? The Buzz This is one my favorite films to come out of the Cannes Film Festival. Directed by Todd Haynes (Carol) based on a book by Brian Selznick (Hugo), it’s a beautifully crafted and elegant story about the power of unconditional acceptance. Bonus: It’s a solid choice for kids too old for the My Little Pony flick. The Story Matt Damon, Julianne Moore and Noah Jupe play a ’50s-era family who are victims of a home invasion. Oscar Isaac is the investigator who thinks that something stinks in suburbia. The Buzz Some actor named George Clooney directs this crime comedy. His record is, shall we say, spotty: The Monuments Men and Leatherheads badly missed the mark; Ides of March and Good Night and Good Luck got the job done. Joel and Ethan Coen co-wrote the screenplay, which may help put this in the plus column. The Story Three Vietnam-era Navy vets (Steve Carell, Bryan Cranston, Laurence Fishburne) reunite to give a proper burial to Carell’s son — who was tragically killed in the early days of the Iraq invasion. Set in the early ‘90s. The Buzz Richard Linklater co-wrote and directed this dramedy, which is purported to be a meditation on the passage of time and the nature of truth. Wouldn’t expect anything less from the man that gave us Boyhood and the Before Sunrise trilogy. This is the opening selection of the New York Film Festival. 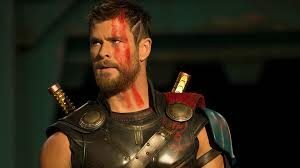 The Story Thor (Chris Hemsworth) and his old friend The Hulk (Mark Ruffalo) team up to stop Hele the Goddess of Death (Cate Blanchett) from destroying his homeland of Asgard. (Ragnarok = “the doom of the Asgardian Civilization.”) Even Loki (Tom Hiddleston) pitches in! The Buzz Both Iron Man and Captain America achieved their greatest successes with their third stand-alone installments. Perhaps Thor will uphold the tradition. Blanchett’s presence will help, obviously. But the God of Thunder must do it without two of his most prized possessions — his hammer and his glorious mane of long blonde hair. The Story Take a wild guess. 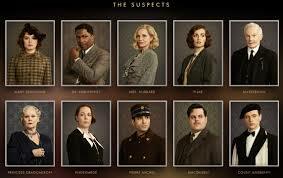 The 1930s-set mystery, based on the Agatha Christie classic, features Johnny Depp, Kenneth Branagh (who also directed), Daisy Ridley, Michelle Pfeiffer, Josh Gad, Judi Dench, Willem Dafoe and Penelope Cruz. The Buzz Which person aboard the Europe-crossing train is a murderer? With that starry cast, the culprit may not even matter. Despite all the Oscar nominees in the bunch, this project is pure popcorn: The Express is not making stops along the international fall festival circuit. The Story Augie (Jacob Tremblay), a fifth grader, suffers from the congenital disorder Treacher Collins Syndrome. 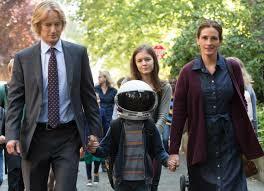 His parents (Julia Roberts, Owen Wilson) send him to a public school for the first time. Stephen Chobsky (The Perks of Being a Wallflower) adapts the 2012 bestseller. The Buzz Hmm. . . This could either be the 2017 version of a treacly After-School Special (google it, Millennials!) or a heartwarming story of perseverance. That photo above concerns me a tad. 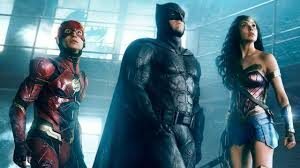 The Story Batman (Ben Affleck) recruits Wonder Woman (Gal Gadot), Aquaman (Jason Momoa) and the Flash (Ezra Miller) to save the world against an intergalactic enemy. The Buzz Iffy. Joss Whedon took over directing duties from Zack Snyder, who had to bow out for family reasons. And the last D.C.-heroes-join-forces extravaganza, Batman V. Superman: Dawn of Justice, just didn’t fly. That’s a lot of pressure on Gadot’s slender shoulders. Let’s see if she can save the day for the second time in six months. The Story For years, competitive skier Molly Bloom (Jessica Chastain) ran underground VIP poker games. She got indicted — then, blessedly, told all. The Story A dashing American student (Armie Hammer) travels to Italy during the summer of 1983 to stay with a professor and his family. There, he has a budding romance with the man’s teen son (Timothy Chalamet). The Buzz This gem from January’s Sundance Film Festival finally premieres in theaters — in a plush late fall slot, no less. The poignant coming-of-age gay love story just might be the Moonlight of 2017. Trust me: You will know its name by Oscar time. Which fall movie are you most excited for? Share below!